Gluten sensitivities and gluten free preferences are on the rise in the US, but what exactly is gluten and why are people so effected by it? Below you will find some resources to teach about gluten and it’s role in food. You will also find links to several culinary labs that are gluten free. The only thing not being addressed in this post is how FACS teachers handle this with students who are gluten free in the classroom. If you have successful tips on how to handle gluten free in your classroom, please share them at Feedback@FamilyConsumerSciences. How many of you have seen products in the grocery store or foods on a menu labeled “gluten-free”? How many of you know someone with a gluten sensitivity or intolerance? What does that mean? What is gluten? 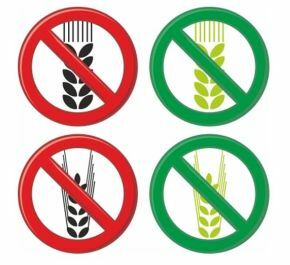 Why are some people unable to consume a diet containing gluten? Have student complete the questions below as they view the Ted Ed Original Video titled What’s the big deal with gluten? I would love to know how other FACS teachers deal with allergies. If I know a student has an allergy, I try to accommodate them. I had one student that was allergic to eggs, dairy, and nuts so I had to do a lot of searching for recipes that he would be allowed to prepare and eat. This time around, I'm dealing with gluten, dairy, and nut allergies. I'm still trying to find recipes to accommodate all that. As a FACS teacher and mom with 2 out of my 3 children having Celiac Disease, I have a wealth of info on avoiding gluten. One of the very best resources (in my opinion/experience) is Nicole Hunn, author of 4 gluten free cookbooks and also author of an awesome blog!